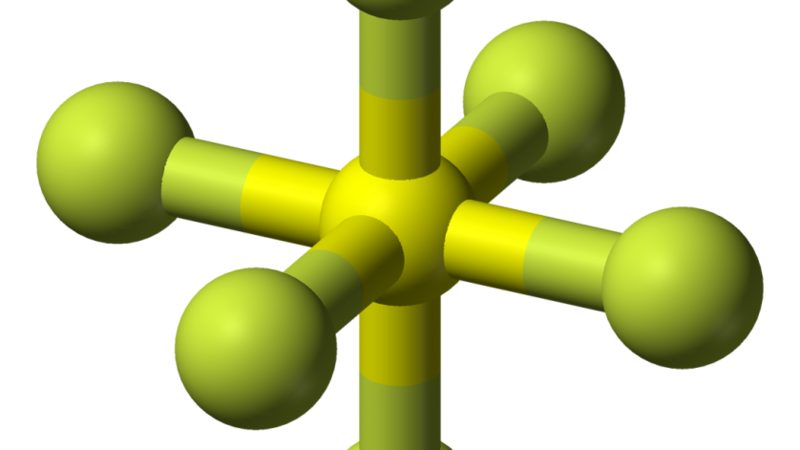 Sulfur hexafluoride (SF6) has been used for decades as an insulator in power plants and electrical transmission and distribution. This gas has excellent dielectric properties, almost three times better than air and nitrogen, and it works well as arc quencher in circuit breakers and electrical switchgear. However, SF6 is the most potent greenhouse gas known. It is 23,900 times more effective than carbon dioxide (CO2) at trapping infrared radiation in the atmosphere. Chemically, it is very stable, and it has a lifetime of 3,200 years in the atmosphere. The Environmental Protection Agency (EPA) has been aware of the global warming potential of SF6 for a long time. In 1999, the agency started a partnership with electricity utilities to curb the effects of SF6. The voluntary emissions reduction program aims to decrease the amount of SF6 released into the atmosphere by electrical equipment that uses this gas as an insulator. Steps to minimize the amount of SF6 released include replacing older equipment with more efficient, better sealed units, improving processes to minimize emissions during manufacturing, commissioning, and maintenance of switchgear, and reducing leaks while in service. Gas density monitoring is an excellent means of early detection of leaks that may occur in SF6-insulated equipment. Continuous online monitoring of gas density can alert operators of the smallest leak and its associated loss of gas. The leak can then be promptly fixed before it gets too big and releases more greenhouse gas into the atmosphere. Leaks will also affect the performance of the unit, and can compromise the safety of your plant. Therefore it is important to detect leaks early to avoid unnecessary risks. To tend to the market need of an accurate and reliable gas density monitoring device, WIKA developed the GDHT-20 an all-in-one, compact gas pressure, temperature, humidity, and density transmitter. The GDHT-20 is a multi-sensor system with digital output that measures the temperature, pressure, and humidity of the gas. Based on these measurements, the transmitter’s powerful microprocessor calculates gas density using a complex virial equation. The GDHT-20 is the world’s first gas density transmitter that communicates using the MODBUS RTU protocol. The system can accommodate up to 247 transmitters in one bus system, communicating with each individual sensor through a defined address. This digital solution reduces programming and wiring needs, and its associated costs. MODBUS RTU state-of-the-art communications enable easy integration of measuring instrumentation into today’s expanding smart grid monitoring environment. The GDHT-20 was field tested on the world’s largest gas-insulated switchgear system at Brazil’s Itaipú hydroelectric power plant. The excellent performance of the transmitter, its accuracy, and its reliability led to the incorporation of 60 units into the process, with 650 more in the pipeline. The GDHT-20 has high long-term signal stability, and it is maintenance free. It does not require recalibration, and its streamlined design makes it easy to integrate it into new or existing switchgear. Contact WIKA’s experts today. They can tell you more about how you can benefit from the unique features of this high-precision solution for gas density monitoring.